Mad Dog Computer will recycle your old computer equipment for you without charge. Just bring your old equipment into our shop and we’ll make sure that it is properly recycled with C&M RECYCLERS, LLC in Tualatin so that it doesn’t wind up in a landfill. We’ll also perform our secure data destruction service on any hard drives which you drop off to ensure that none of your personal information ever falls into the wrong hands. We are an office environment and have minimal storage space available so we do reserve the right to limit quantities, size of recycled items and reject any item which we consider inappropriate to have in our shop. 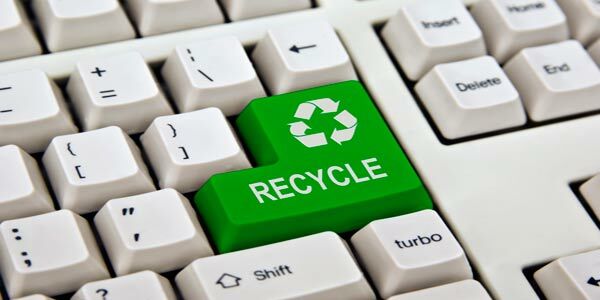 Also, recycled items must be free of living things (insects, rodents, etc), contained (not leaking or dropping materials) and not be hazardous (broken glass, explosive, corrosive, etc).